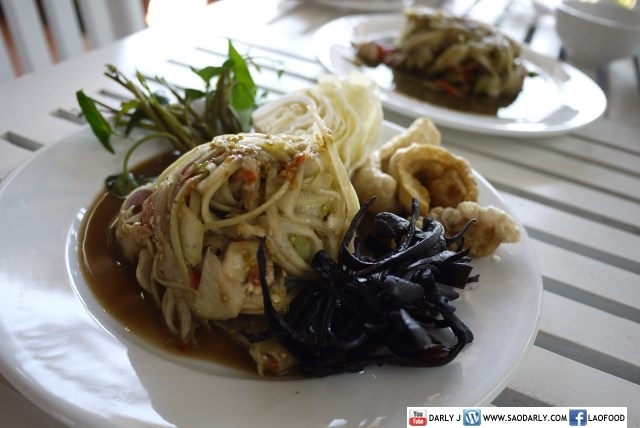 Two plates of Tam Maak Hoong aka Lao green papaya salad for lunch in Luang Prabang. I order one plate for myself with no garlic and no MSG. The papaya salad lady only has raw Padek or raw fermented fish sauce on hands. I was in an adventurous mood and ordered my papaya salad with raw fermented fish sauce. If you are ever in Luang Prabang and would like to try out Tam Maak Hoong (Lao Green Papaya Salad) from Mrs. Teng, then drop by her papaya salad restaurant at Ban Aham. 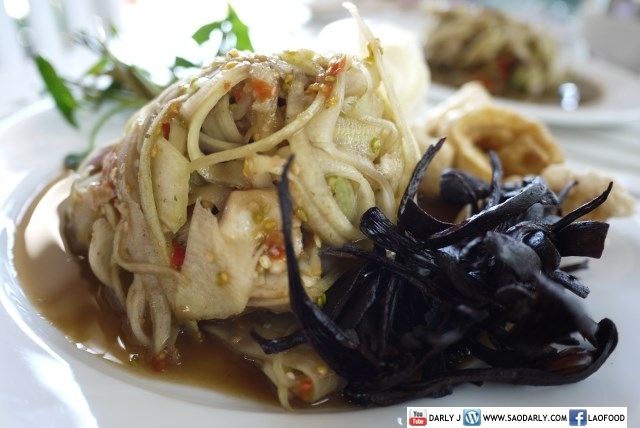 You can spot or smell the papaya salad a few meters down from Aussie Sports Bar and Guesthouse.